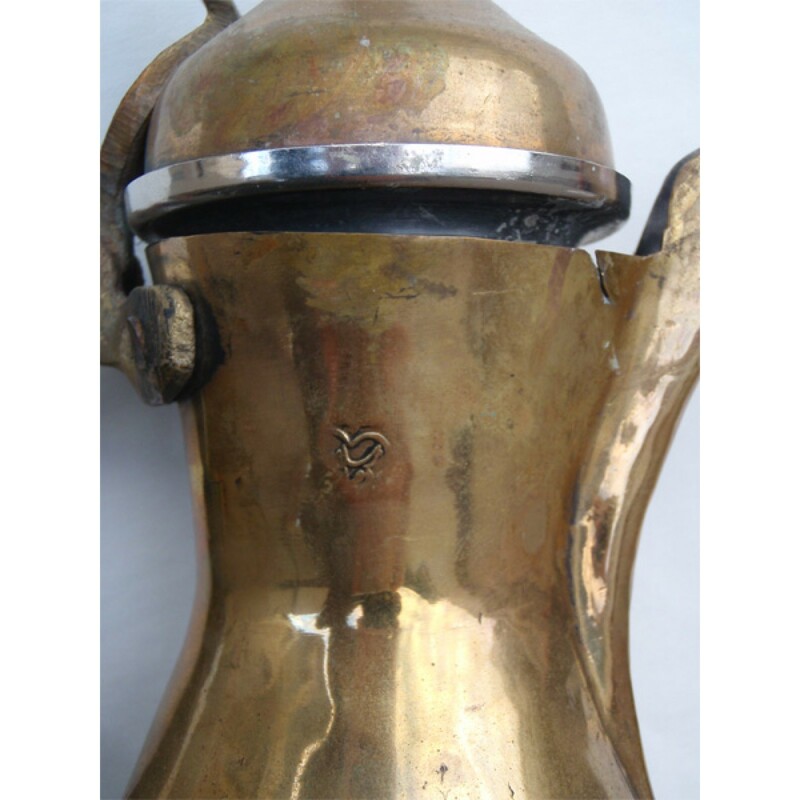 A rare, original and authentic hammered brass 'coffee pot' with silver lining, being a vintage item, it has a very tiny tear on the front upper seam as featured in one of the pictures. 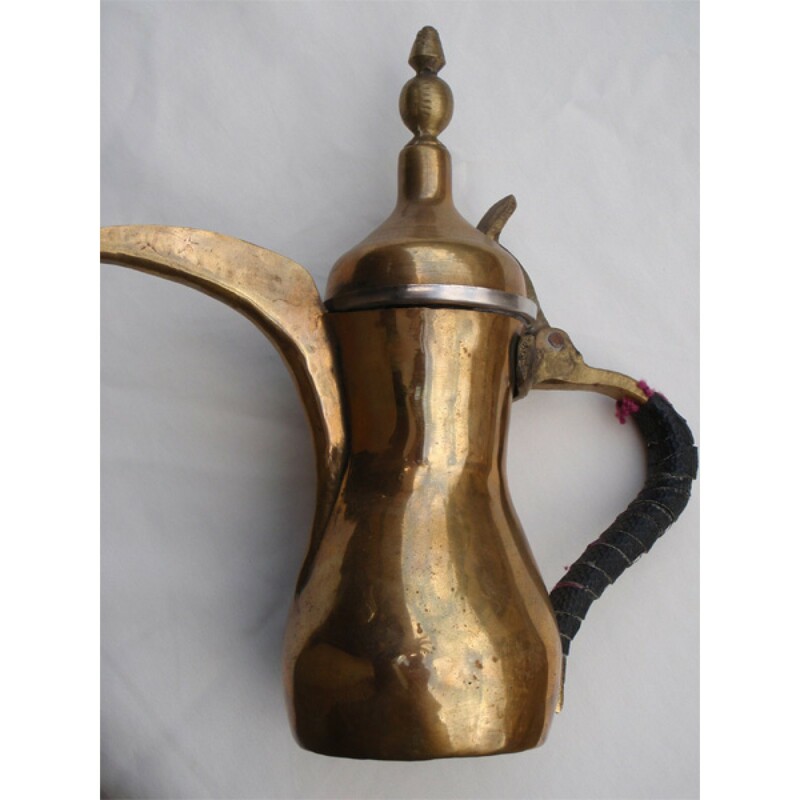 This magnificent coffee pot was acquired in Upper Egypt, from an old merchant in a back street souk (market) where it was discovered amongst other old items also featured on this site. A wonderful decorative item. The dallah (Arabic = دلة‎) is a traditional Arabic coffee pot used for centuries to brew and serve Ahwa (coffee). 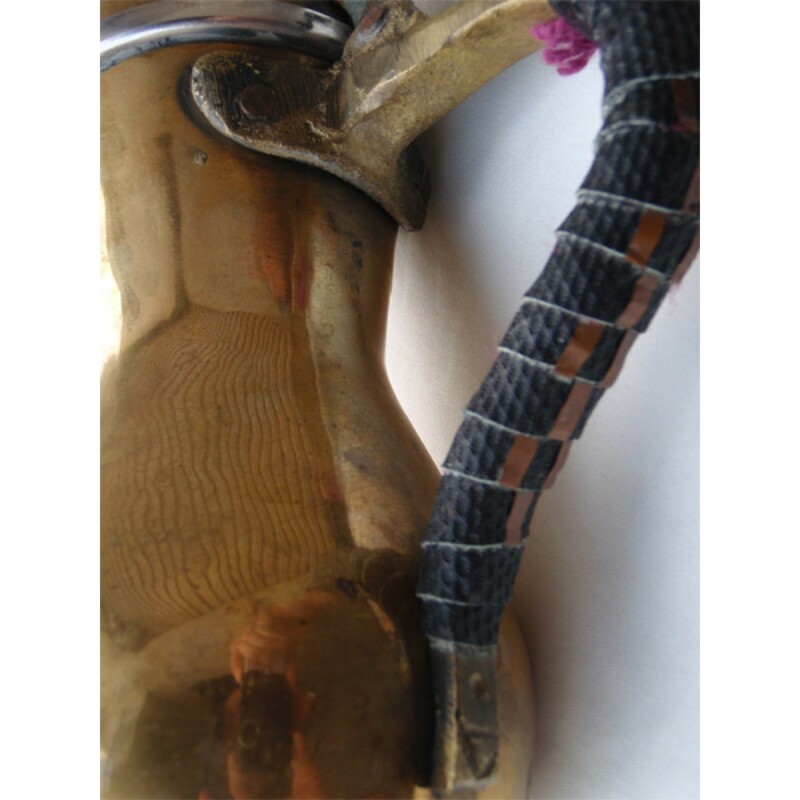 It is commonly used in the coffee tradition of the Arabian peninsula and of the Bedouins. Old Bedouins used the ritual of coffee preparation, serving and drinking as a sign of hospitality, generosity and wealth. In much of the Middle East it is still connected to socializing with friends, family and business partners, so it is typically present in the main rites of passage, such as births, marriages and funerals and some business meetings. 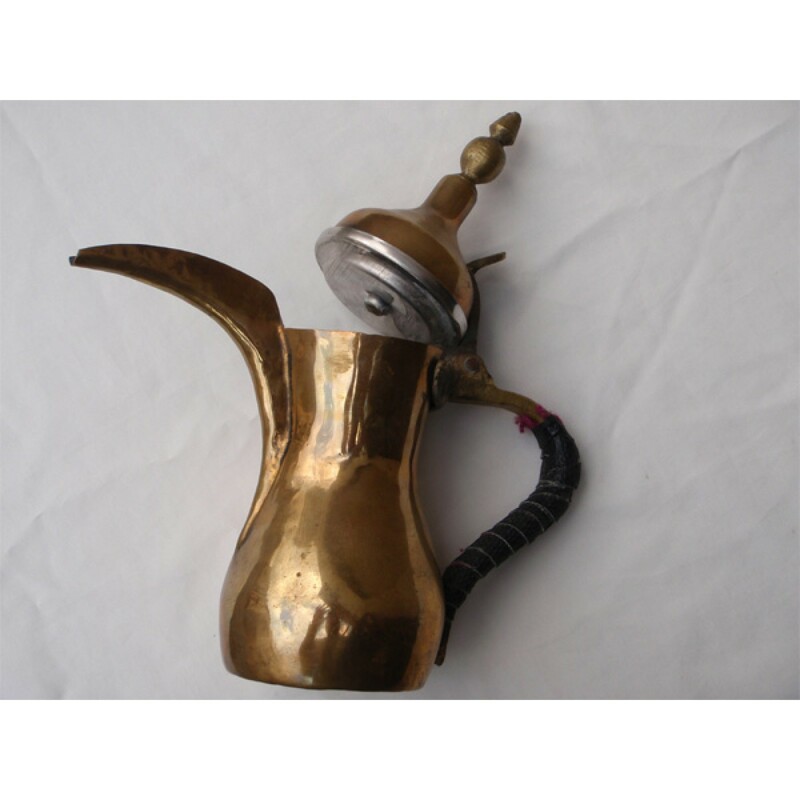 Dallah have a distinctive form, featuring a bulbous body that tapers to a "waistline" in the middle and flares out at the top, covered by a spire-shaped lid topped with a tall finial and held by a sinuous handle. The most distinctive feature is a long spout with a crescent-shaped beak. This beak may be covered with a metal flap to keep the coffee warmer, but traditionally it is open to view the coffee as it is poured out.